This drop-in is great for those who want to participate in the seasonal knit-along but need a little guidance along the way. The knit-along is held every Saturday, directly following this hands-on session, and is free, fun, and a great way to meet new and interesting folks. 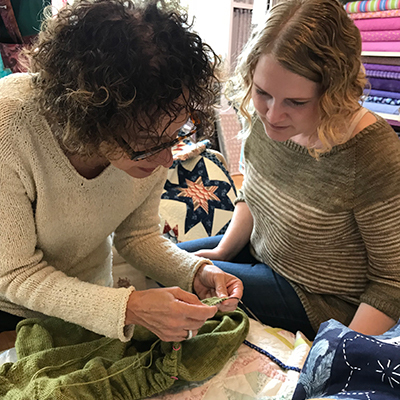 This class a great time to get expert help with those sticky parts of a pattern, fix a mistake, or to learn a technique you’ve always wanted to try. Want to learn how to knit something new or looking for help with a tricky pattern, Asa is there for you. She can help you get started, even help you decide whether the magic loop, DPNs, or even two at a time circulars are best for you, or help you with anything else.